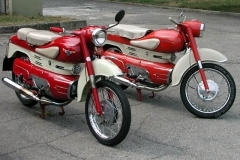 Rims (Front & Rear) 17"
The Chimera was the first production bike with the aircooled, horizontal single-cylinder four-stroke engine which Aermacchi is most famous for. 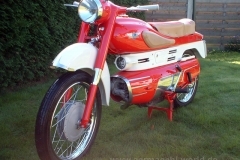 The engine later was available as 250cc version as well and it was the basis for the 350cc engine which continued until 1974 as well. 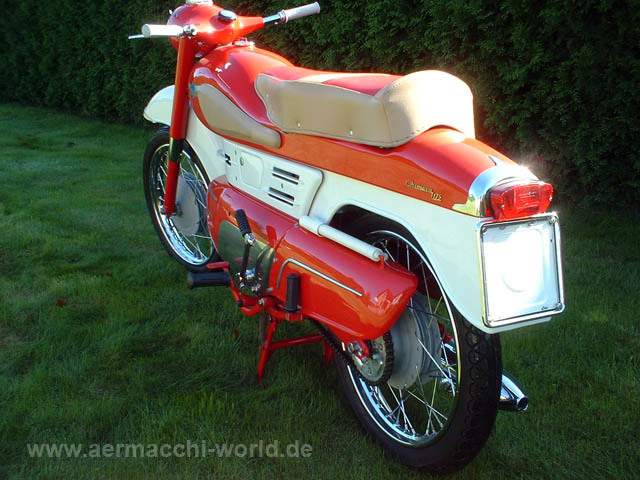 The Chimera was designed by Mario Revelli de Beaumont and constructed by Alfredo Bianchi as technical leader. It was presented on December 1st in 1956 at the Milan motorcycle show. They engine had 175cc and produced 10hp at about 6800 rpm. 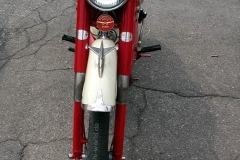 The bike had a futuristic airstream look and was equipped with monoshock suspension. 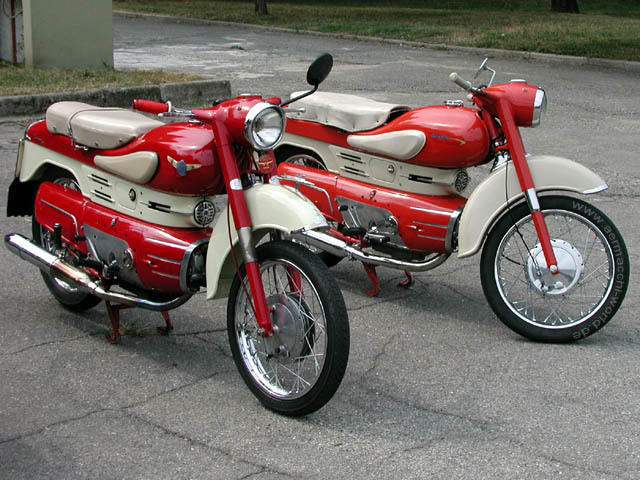 In their opinion the Chimera was the ideal motorcycle and the name “Chimera” represents that as it translates to “dream”. 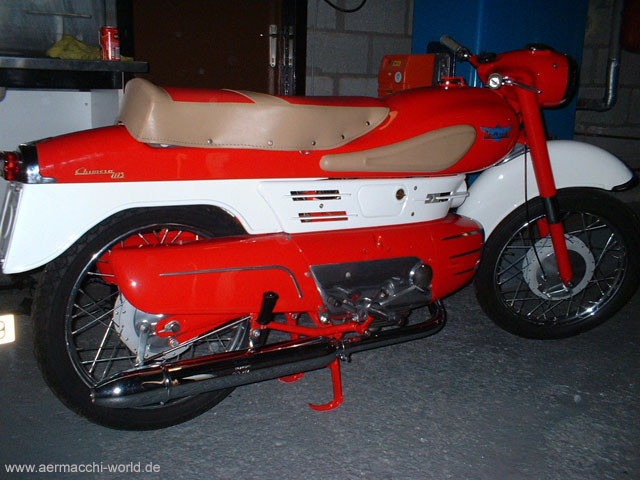 The Chimera however was not a success as people didn’t like the look of the plastic panelling. 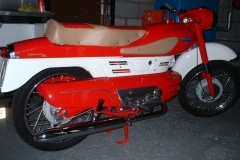 The Chimera was also available as a 250cc version. 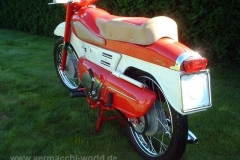 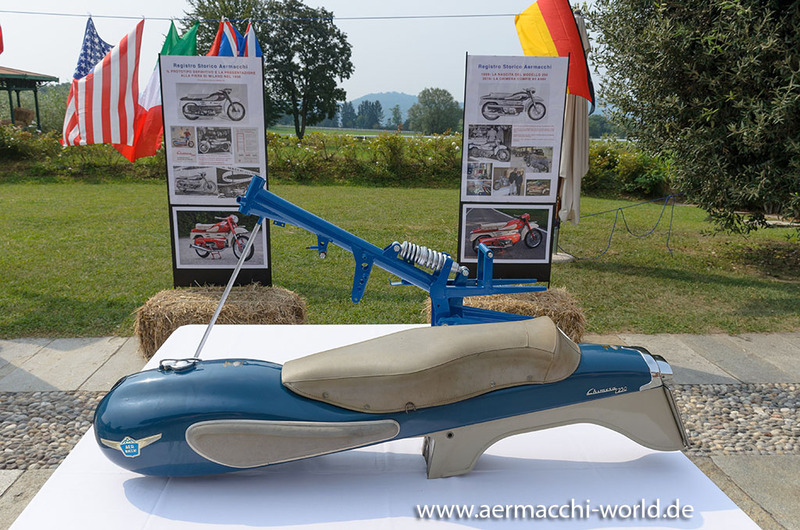 However, the Chimera was very important as it marks the beginning of “The Aermacchi engine”. 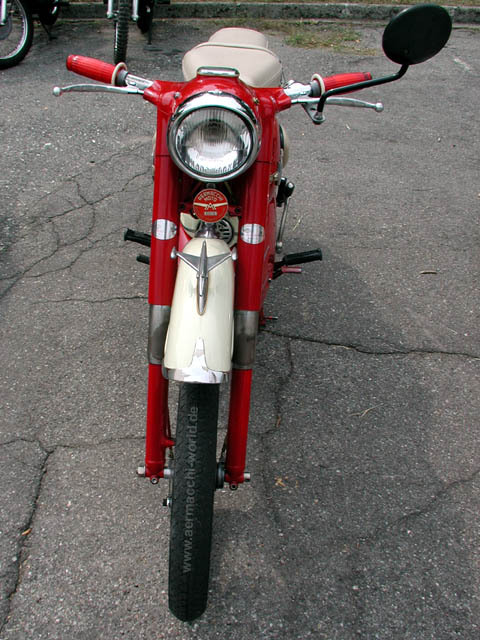 Sorry, no FAQs can be found!